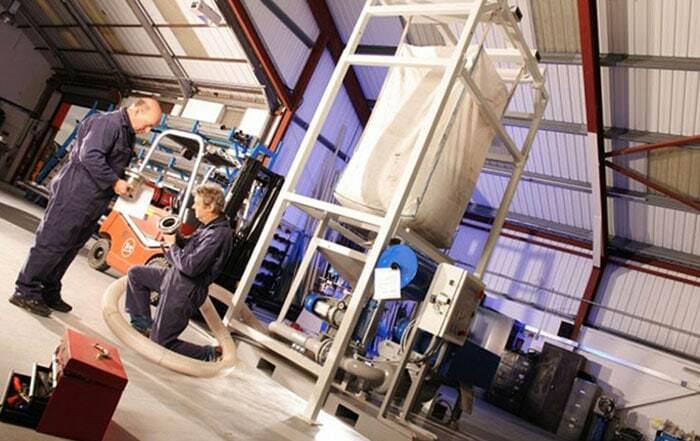 Summit Systems design and manufacture both standard and customised metal fabrications from our own manufacturing unit. Our team undertake a wide range of services; from modifying standard equipment to the production of aluminium and steel storage containers. 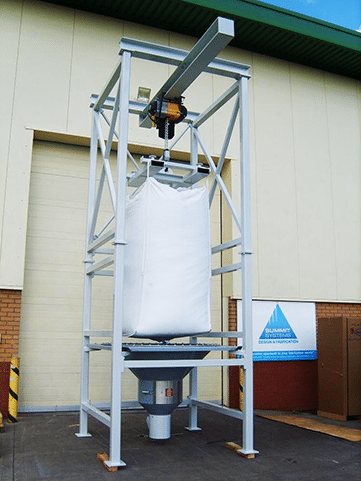 Big bag support frames are used for the automated discharge of big bulk bags. 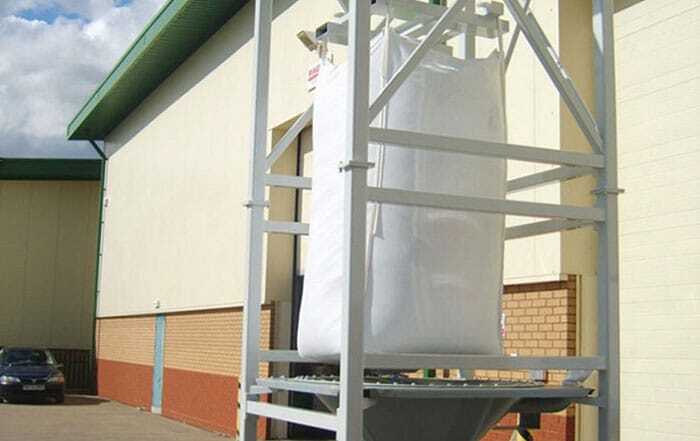 Standard range or customised to deal with poor flowing material. Steel construction – powder coated any colour. Big bag frames to any specification. 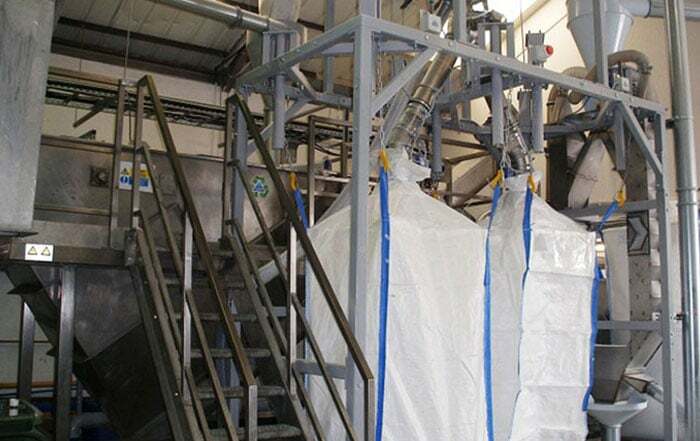 All big bag frames independently load tested and certified.